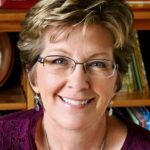 Heart: A picture book’s got to have it! Home Uncategorized Heart: A picture book’s got to have it! I read a lot of picture books. And so many of them are good in so many ways. Nice, tight, writing. A clever idea. Commercial appeal. Funny, quotable lines. Characters you wish were your friends. All those things are necessary. Good, even. But I’ve come to see that what elevates perfectly nice, good picture books to oh-my-heavens, tuck-it-under-your-pillow perfection is something that’s simple to say, but hard to achieve. All the picture books I really, truly love have it. But heart can appear differently in each. It can be the one page turn that sets up the moment where you actually say, “Awww” out loud. Even if no one is there to hear you. It can be the sentence that makes you tear up. The character that represents such a universal human emotion — fear, sadness, loneliness, joy, accomplishment, sacrifice, love — that you’re taken to a moment in your own life where you felt exactly the same. Heart can be big or small. It can hit you over the head with an emotion or subtly sneak into your psyche and set up camp for the long haul. And your story can and should have it even if the rest of it is mostly funny or mostly scary or mostly educational. If you want your story to sing, it’s got to have heart. In MY GRANDFATHER’S COAT (Scholastic, 2014) author Jim Aylesworth tells a simple, progressive story about a young man who travels to America. He becomes a tailor, makes himself a coat and then, as the years pass, turns that coat into a jacket, vest, tie and toy. My grandfather loved the coat, and he wore it and he wore it. And little bit by little bit, he frayed it, and he tore it, until at last … he wore it out! 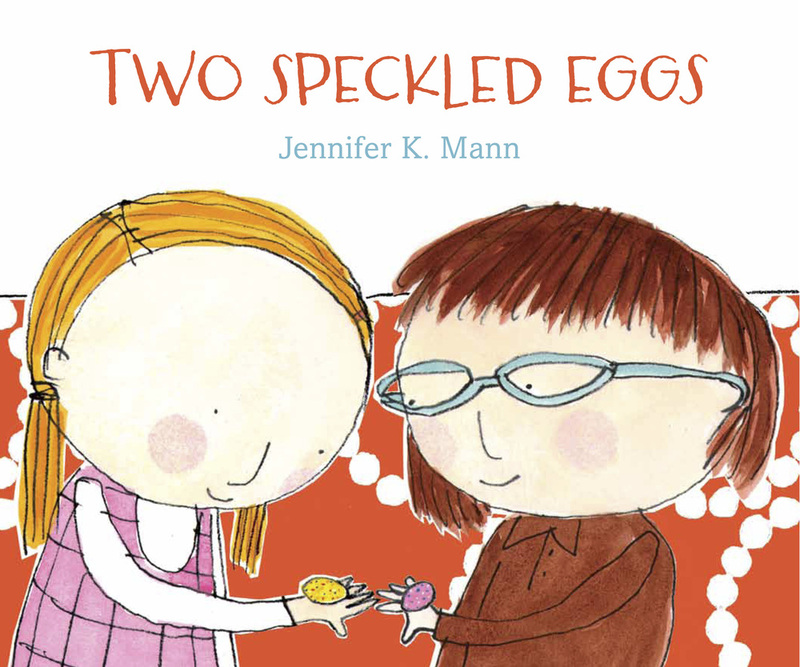 TWO SPECKLED EGGS by Jennifer K. Mann (Candlewick, 2014) is less sweeping. It focuses on one important afternoon in Ginger’s life. Her birthday party. She’s unhappy because her mother said she had to invite all the girls in her class or none of them. This means including Lyla Browning, who is a bit odd. As the party progresses, Ginger finds the other girls are the problem. They don’t listen, don’t follow the rules and don’t like her all-time-favorite birthday cake. Maybe “none of them” would have been a better party after all, Ginger thought as the girls ran off, giggling. She scrunched up her eyes, but the tears fell out anyway. I’m not sure you could find anyone who hasn’t felt like Ginger at some point. And this book brings it all back. You’ll be happy to know it ends well. Not only does Lyla Browning like Ginger’s favorite cake, she also likes ladybugs and malted milk eggs, which is really all you can ask for in a friend. So the next time you’re reading a picture book you love — look for the heart. And the next time you’re working on a draft of your own, ask yourself, “Where is my story’s heart?” If you’re not sure, dig a little deeper and look for the emotion. And, if it isn’t there, add it. Your story will have a whole new layer of love. Heart, My Grandfather's Coat, Pat Zietlow Miller, Two Speckled Eggs. Bookmark. Pat, I love this! Thank you! Oh, man, Pat. Simply reading these descriptions made me go, “Awwwww.” And I love the birthday party invitation twist – that readers aren’t in the POV of the girl nobody wants to invite, but instead with the girl who doesn’t want to invite her. Seems like a powerful learning tool to share with kiddos. Great post, Pat! I’ve added these to my list. I’m not sure if I can “add” heart to a story that lacks it. I think I just need to start over with a better concept, something that lies closer to the truth. 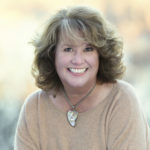 Hi Cathy: I’ve found I sometimes am able to amp up the heart of an existing manuscript by deciding what the universal human element of the story is and then trying to emphasize it more so it’s so tightly woven in the story it feels like it’s always been there. But I agree, that if the initial idea doesn’t have that universal truth, it would take a lot of reworking or bring one in. Aaawww…I go weepy just reading these snippets. Thank you! You are right. All stories must have heart, especially picture books. Good blog post and excellent books to point out the need for heart. Thank you for this, Pat. 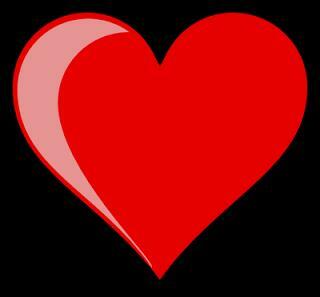 Heart is difficult because it really has to be there in the right measure. Just right: The awesome “Awww!” and the desire to read it again. I like the examples you chose, and I think Sophie’s Squash is a great example, too. Not maudlin. Simply sweet and honest. Difficult to write, yes. But feels simply true. Hi Charlotte: You are so right about the three levels of heart. This is perfectly said. Thanks, Pat! I think your description of heart is what editors are talking about when they say they want a picture book to have a “take away.” A picture book with heart lasts. So true! At last year’s SCBWI Winter Conference in NYC Jack Gantos put Don Freeman’s CORDUROY beside his next book, A POCKET FOR CORDUROY, and talked about this same issue (by a different name). It was such an instructive contrast. The two books feature the same characters and, in both cases, a quest or search. But in the first, classic CORDUROY the quest is for something so fundamental and essential — a friend, a home, connection. Whereas the second quest’s goal is a pocket. The first has heart; the second not so much. Which is why we’ve all read the first about a thousand more times than its sequel! I didn’t know CORDUROY had a sequel. That’s probably why. Anna, this example is an epiphany for me! So clear once it’s been pointed out! Thanks for sharing. This is such a lovely post Pat. Thank you so much for writing it. Finding the heart in a story is the hardest part of writing, and it’s the best feeling when it appears. It sure helps to mine our own memories for those heart-ful moments from our childhoods. Sometimes we have to really dig till we feel them all over again, and then quick, get them down on paper! Reading Ursula Nordstrom’s letters in the book Dear Genius really made this clear to me. This is a great post, Pat. Such an obvious question to ask (where is he heart) yet it’s not something I’ve ever asked about what I’m writing. But I will going forward. I was lucky enough to see the evolution of Two Speckled Eggs and that is one thing it never lacked. And Jennifer is just about the sweetest person ever, too. Thank you, Pat! This post definitely gives one cause to pause. It’s a keeper! I look forward to reading your wonderful examples. Thanks for the great post, Pat! When a PB has heart, it makes me want to read and relive it over & over again too. lovely thing to think about next time I write something. Heart. Thank you Pat. <3 this post. It's worth trying to find just the right emotional connection in a story. Thanks, Pat. I love this post! And I’ll definitely be thinking about heart when I write from now on! Great post! I really hearted Two Speckled Eggs. Thank you! 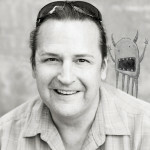 I heart this post Pat! I am all about the heart in a story! 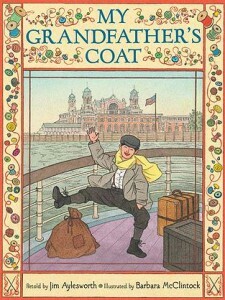 I felt it in My Grandfather’s Coat and fell in love with the story more on every page. Sophie’s Squash is a heart warmer as well! Thanks for reminding us to find the heart in our own work! I can’t wait to find and read these two picture books! Thanks. You’ve nailed it! I have a collection of PBs that I HAD to buy. And now, having read your post, it’s clear what all my books have in common – heart. I just read THE STORM WHALE by Benji Davies, and for the reason of heart, I have to add this precious story to my collection, too. Heart–that’s what makes the story crack open and we fall in. I’d not considered this before. With your points in mind, I wondered which books I’ve read have heart. One that immediately came to mind is Bob Graham’s LET’S GET A PUP! SAID KATE. They go to the shelter to adopt a darling pup, but it’s the calm, forlorn older dog that causes Mom, Dad, and Kate to go back the next day to adopt a second dog. A get teary every time I read it!